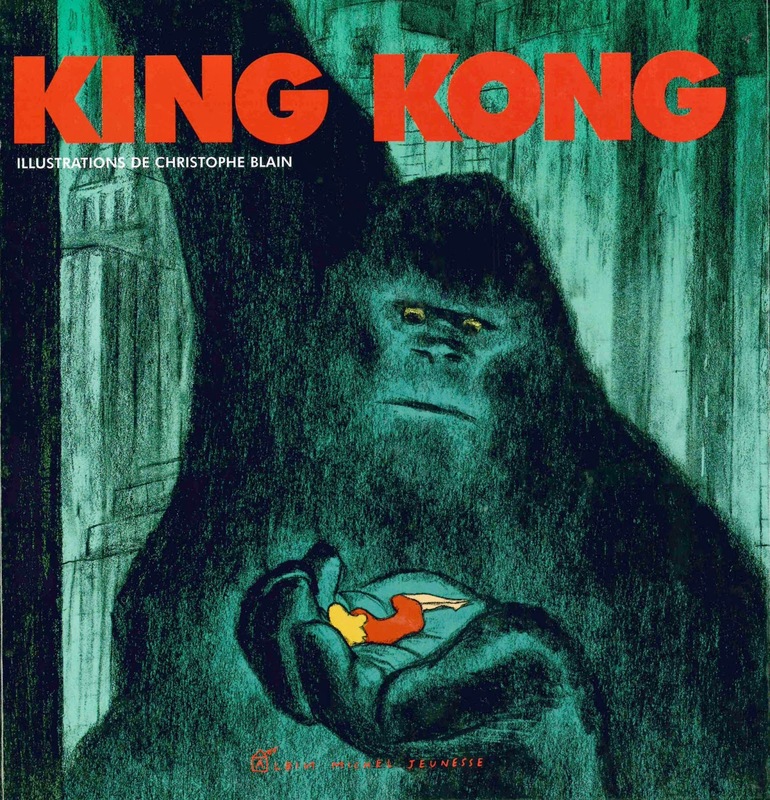 I finally got my hands on one of the books that's been on my list of 'stupidly priced out of print books to buy when and if possible' for a while: Christophe Blain's adaptation of King Kong. Published in 2004, it's a 44-page children's picture book simply re-telling Merian C. Cooper and Edgar Wallace's famed tale. 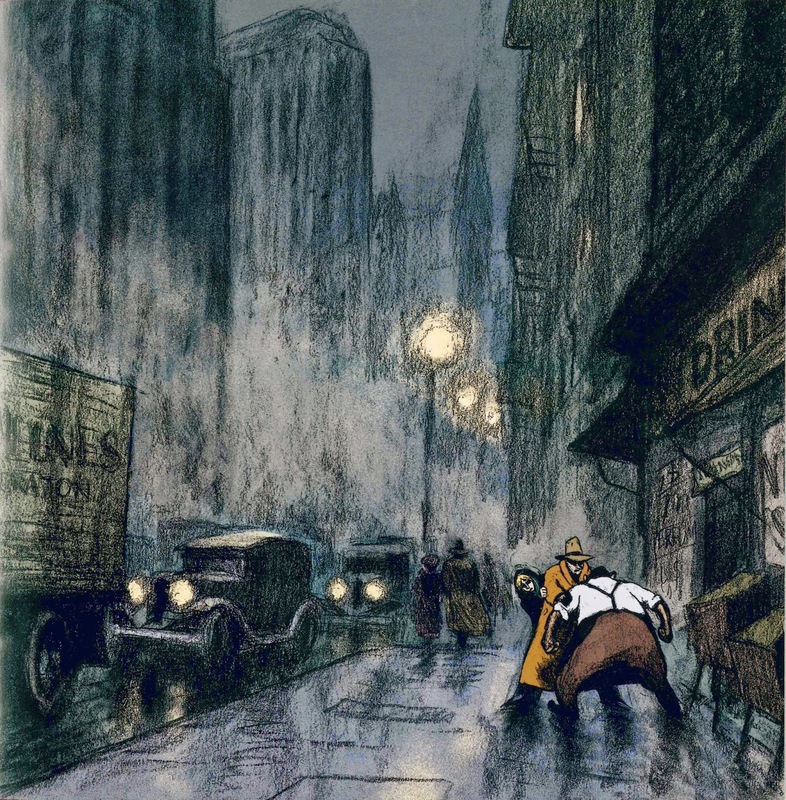 My interest in it is based solely on French cartoonist Blain's art, whose work I have a real passion for; he's easily one of my top favourite and best artists. I always admire artists who are open to taking on new subjects and methods, and it's something I appreciate about Blain; he's authored pirate tales, westerns, political memoirs, cooking books, naval potboilers, and more. 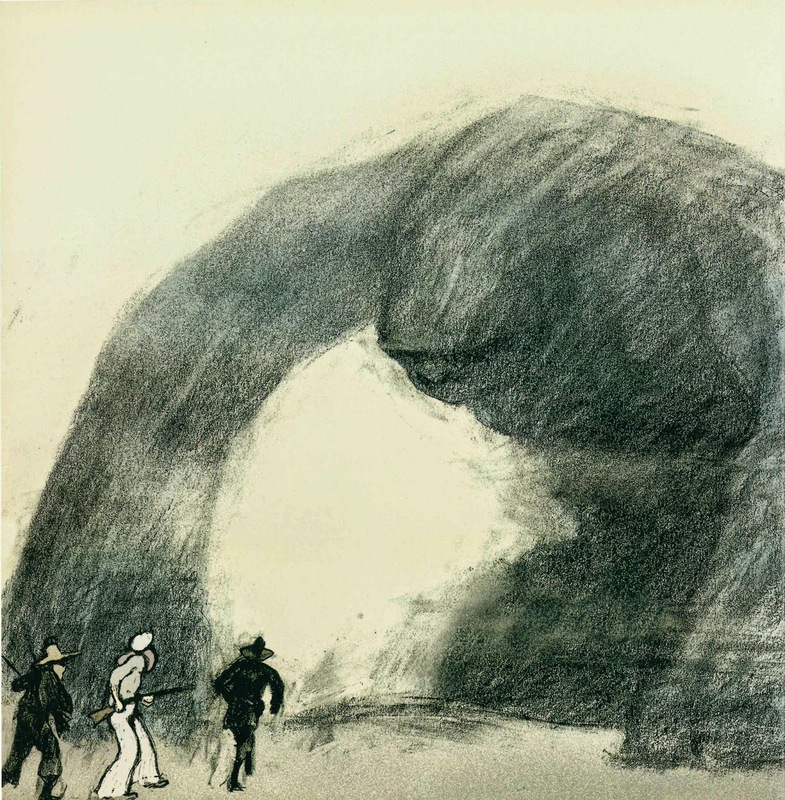 That breadth seems to make artists stronger and better, and the caliber of Blain's work would attest to that hypothesis. Blain's work -or certainly what's available of his work in English- is perhaps most commonly associated with certain, defining characteristics: movement, expression, humour, dynamism, looseness of line, but if you look at his illustration pieces: posters he's done for festivals etc., his approach differs a little, something which is reflected here. If you're expecting a more standard, full-on Blain experience, that's not what this is, but Blain being as good as he is, still manages to make an impact and weave a peculiar magic with it. The cover here itself is incredibly striking- the blocky red font really pops against the deep turquoise/teal/glossy black of Kong, tying back in with the red-clad figure of Ann in Kon's palm. The decision to use the greeny/blue sheen for Kong's skin throughout is one that seems small, but makes a significant difference in terms of what you're seeing- rendering him in full black would be an entirely different inference. 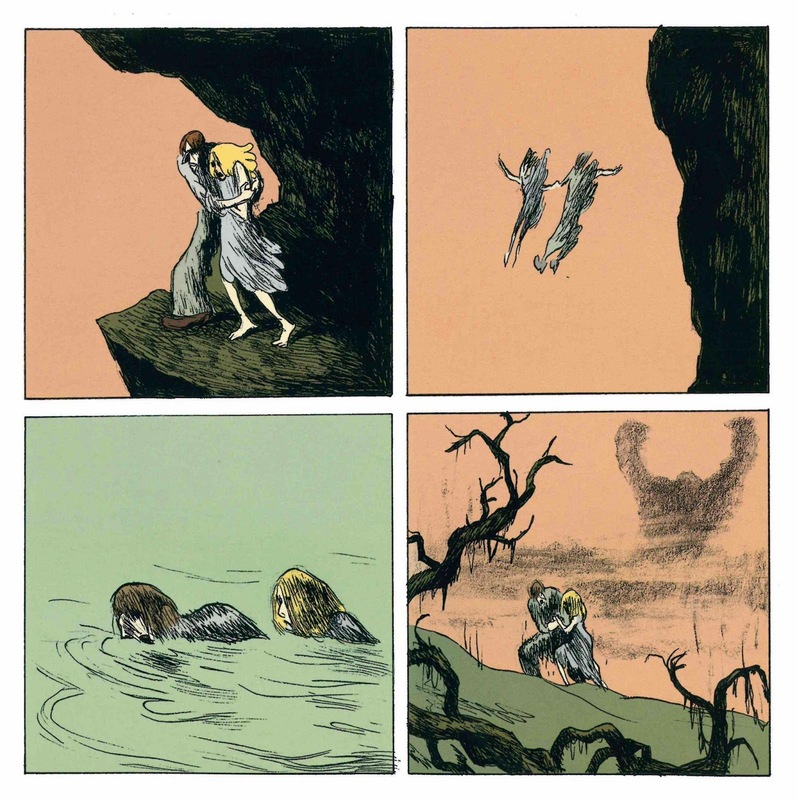 Picture books are often very similar to comics in that their art is acting as narrator and also sequential, and this is a wonderful example of one with Blain interposing two different types of illustration; alternating between clear and simple 4-panel comic grids and full page spreads. The comic pages are more in line with the style that's become synonymous with Blain: bubbly, clear-lined, cartoony, although it is more subdued here and weighted down with shadowy pencils, and are a neat use of narrative; really layering in further story considering the text is a very condensed version. At the same time he's aware of his intended audience, so does keep them simple, in terms of composition or multiple elements in frame. 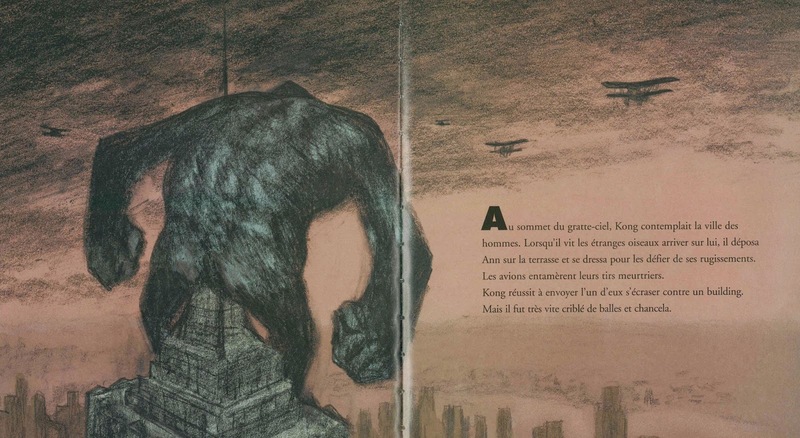 The single and double page images give Blain more room to fles and are much more impressionistic: smokier, smudged pastel-like textures that cleverly -by never really giving solid outline or shape to Kong's gargantuan mass- have the effect of making him seem even bigger- mythic and uncontainable. They add to the ominous atmosphere, set up ambiance, and feed the tragic tone of the story. 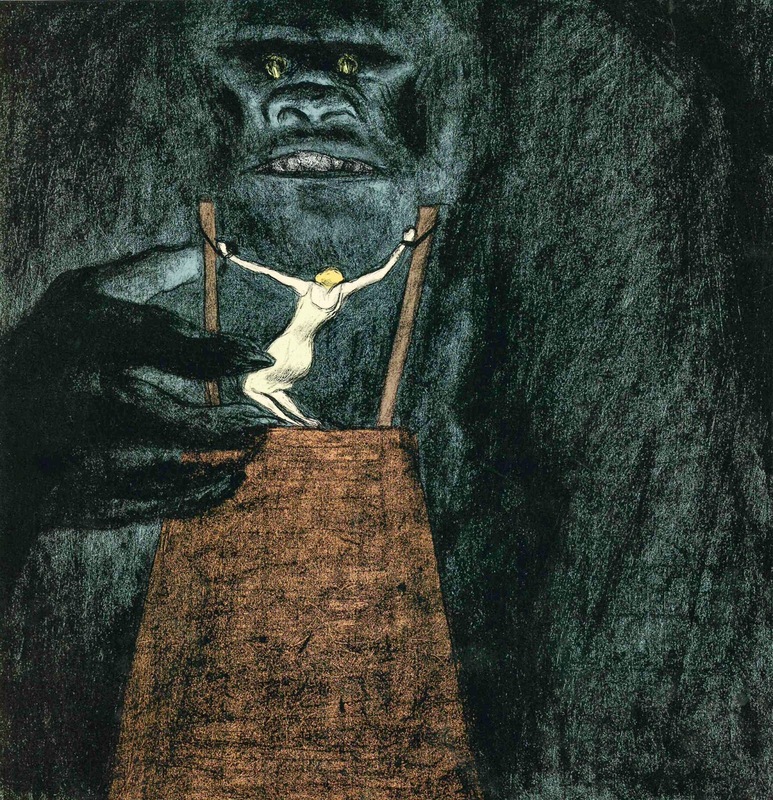 As much as I love the drama of the latter illustrations: the raw spectacle and feeling of Kong chained on stage, the fateful climb, the defiant last stand fighting off aeroplanes atop the Empire State building, the inevitability of the final fall; probably my favourite illustration here is the simple minimalist approach of Kong as he's overcome after being shot at with tranquilizers. 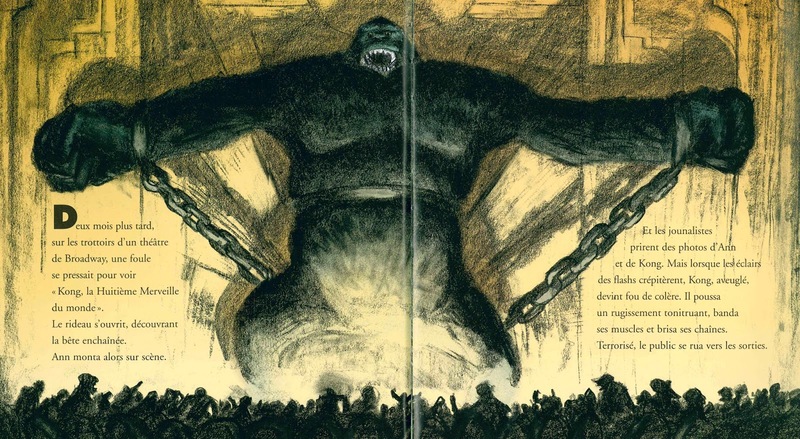 I love the hazy drowsiness of Kong, the bowed posture as he leans heavily on his arms; the giant overcome, which poignantly reflects his state, the capture of this magnificent beast. He loses colour and form as he's drugged and losing consciousness, and it's telling that this is the only page that Blain chooses to bathe in light- to all intents and purposes his capture is his end, and there's something so intrinsically sad and evocative about it. It's a sublime image. I don't want to go on too much here- Blain's the kind of artists whose work speaks for itself, but ultimately this adaptation does its job and then some. My 3-year old nephew, Ali, who's a big fan of Godzilla and Kong (in that order), had me read it to him repeatedly whilst visiting -and then a few more times over Skype. I was curious to see what he'd make of the indistinct images, but perhaps having seen bits of the film helped things slot into place- he had no trouble with it anyhow, and enjoyed all 37 readings immensely. 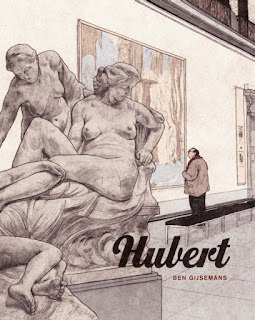 As for people looking to get their hands on a copy for their Blain collection, as far as I can tell it didn't go into a second printing, so copies are very limited, which means when one does crop up here or there, it's rather expensive, but absolutely worth it, I think. If it doesn't get a reprint -and a decade on, that looks unlikely, it will probably only get harder to find and dearer in price. I'd be remiss not to give a big thanks to Thomas Ragon, who pointed me towards the listing for this on French Ebay- it's definitely one to treasure. You torture me! This is great! Anybody out there with a copy they'd like to sell or trade? Great Jove! That stuff is gorgeous!